I've just found a new source of inspiration, and I absolutely love it! It has, literally, the best quotes about life. I picked this one for today because I think it is pretty relatable. Sometimes we imagine ourselves being someone completely different, or just a better version of who we are at the moment. But if you think about it, the only thing stopping you from being that "imagined being", is you! 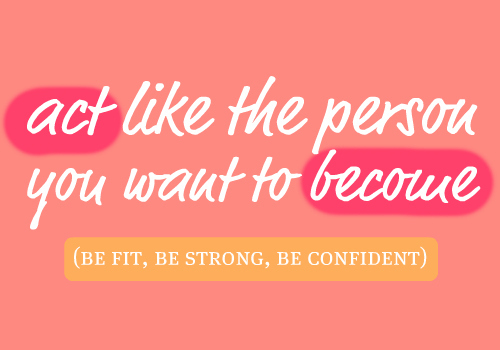 So step aside, and become the person you have always wanted to be. And remember that it's not about being perfect, but about being authentic! On another subject, have a happy Tuesday!